There’s some Democratic members of the San Diego City Council who are missing the “Big Picture” on the issue of short term vacation rentals. Particularly Councilmembers David Alvarez and Chris Ward. Mrtyle Cole is not off the hook yet either. I know these seats on the council are supposed to be “non-partisan” but we all know they’re not. Democrats hold 5 seats on the council and Republicans have four. Many of the council votes reflect priorities of the different parties, and usually the Democratic councilmembers are on top of the big issues that affect San Diegans. But not right now – on one of the most contentious issue in front of local government – how to regulate short term vacation rentals – they’ve slipped off a progressive stance, and Alvarez and Ward need to find their more liberal footing on this bubbling volcano. Why? What’s up with this. Just recently, Ward and Alvarez have put their names on a a new proposal for regulating these short term rentals, described as a rental for less than 30 days, along with Republicans Mark Kersey and Scott Sherman, and it’s a disaster. Save San Diego Neighborhoods described it as such; the group – a coalition of residents that has fought to ban short-term rentals in single-family neighborhoods – immediately condemned the new proposed regulations proposed by the four councilmen as a “disaster” for the city’s neighborhoods. Pushed by Ward, the new proposed plan would require three-night minimum stays – a huge departure from fellow Democrat Barbara Bry’s proposed set of regulations, made public last month. Bry’s would allow short-term rentals in owner-occupied residences, but not in houses with absentee owners, and it would also limit rentals when the primary occupant is absent to 90 days a year; it would keep the number of renters to two per guest room plus one other visitor per residence. Councilwoman Lorie Zapf has endorsed Bry’s recommendations, while Democrat and Council president Mrytle Cole has been mostly silent on the issue. The Ward, Alvarez, Kersey and Sherman proposal also follows a state standard for occupancy, sets up a system for permitting and enforcement, and provides renters with a code of conduct that covers issues like noise, trash and parking. So, what’s the big picture these Democrats are missing? The essence of the crisis being manufactured mainly in the beach areas by Airbnb and other sites is not only the substantial loss of housing stock for renters but the general loss of community. Once short term rentals take over portions of a neighborhood, that area is no longer a genuine community with real residents and with businesses catering to residents – and not visitors. It is the Loss of Community that is the most dangerous aspect of this ‘home-sharing’ trend – especially at the beach. When a significant number of residential units in a neighborhood are taken off the long-term (30 days or more) rental market, and turned into short-term vacation rentals, there are multiple results or consequences that impact that neighborhood, positive and negative. However, on top of housing shortages, the even more drastic consequence of loss of community occurs when there are so many residential units within a neighborhood that have been turned into short-term units, that a goodly-sized chunk of the area has morphed into a resort candyland of beach, surf and sand. There are no longer any actual residents in the immediate neighborhood, and every unit is utilized as a vacation rental – every condo, every McMansion, every apartment, every little cottage – no longer are the houses of residents – the human make-up of a community – but of visitors. … where the 3-story mansions line the Boardwalk are vacation rentals, time-shares and where no one really lives there, and where every unit is now a vacation unit. The City Council is expected to bring the whole issue to a head on October 23 when they finally sit down, deal with the various proposals, including a set that city staff is writing up – and come up with policy. This issue has been wrestled with over the last 2-½ years without any resolution. It also is one that has grown more pressing with the mushrooming popularity of online platforms like Airbnb and VRBO. And with Democrats providing 2 votes, there may be a Republican-dominated decision on barely regulating these types of rentals. It could be the closest thing yet to a consensus. But it won’t be a good decision. The latest [Ward, Alvarez, et al] proposal probably comes closest to a consensus approach, although one other council member would have to sign on to reach a majority. While the proposed regulations would allow owners to rent out up to three properties on a short-term basis, a three-night minimum stay would be required in San Diego’s coastal areas as well as in neighborhoods that have been designated as a historic district. A series of escalating fines as high as $5,000 would be assessed for noise and nuisance violations, and in a move to address the argument that short-term rentals are depleting the stock of long-term housing, the council members are suggesting a $5 nightly rental fee that would be deposited into a new affordable housing fund. Ward, Sherman, Kersey and Alvarez say in a memo released early this week that their suggested regulations seek to balance the concerns of residents who feel their neighborhoods have been overrun by mini hotels with the desire of home-sharing hosts to earn extra income off their properties. Short-term rentals, which cover periods of under 30 days, are largely unregulated in San Diego. City Attorney Mara Elliott released a formal opinion earlier this year that such rentals are unlawful because they are not identified anywhere in the city’s municipal code. The mayor has refused to enforce prohibitions on STVRs up to now, ostensibly waiting on the Council’s decision. Meanwhile, it was a hot issue at a recent community meeting in Pacific Beach. The hotly-debated issue took center stage at a public forum in Pacific Beach Wednesday night where the city attorney weighed in. Most in attendance told NBC 7 they are feeling the effects of short-term rentals first hand. 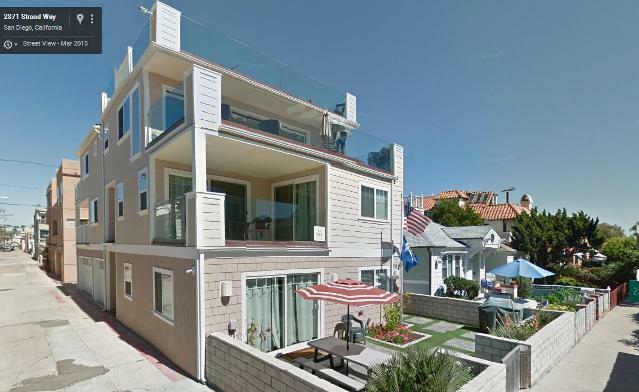 “I own property in Ocean Beach and the slum lord next to me has made that a short-term vacation rental, which has been a nightmare for me. Barking dogs, parties, down the line,” said Wayne Simnitt. “Other councilmembers are imposing their will when they’re far removed from what you and I are experiencing,” said Councilmember Lorie Zapf who represents beach communities including Pacific Beach, Ocean Beach, Mission Beach and Point Loma. “As San Diego communities, we’ve been debating this for a number of years and so far there has been no hope for a pathway moving forward. I understand where many on all sides are coming from but unless we can tackle some of the challenges we do agree on — the impacts on housing stock, on neighborhoods’ quality of life — the status quo will remain and that’s not working for anyone. And we urge liberal and progressive Democrats on the city council- and their allies – to fully understand how vacation rentals are detrimental to communities, working-class, middle class communities. Other than that, we also urge those waiting in the wings with proposals to carve out a “coastal exception” on the issue, come forward, as time is of the essence. Perhaps there ought to be such an exception if the majority on the council believe STVRs are basically okay, all they need are a few regulations. There’s a Nextdoor site which makes you join/login to read and contribute. https://nextdoor.com/ There has been an ongoing thread that began on August 16 simply titled Short Term Vacation Rentals that can likely be found by a search regardless of the neighborhood you joined with (I hope), for sure in PB . Anyhow, there is plenty of great info in the thread, and thank you for this excellent article. “If you don’t stay there, they don’t stay there.” This permits B&B. The one thing AirBnB hosts DON’T want to do is stay with their “guests.” They leave that up to the rest of us. Yes, this permits all the poor people who just want to add to their income to take advantage of the law. They just have to live with it too. But here in San Diego, this practical approach isn’t something that is going to happen.